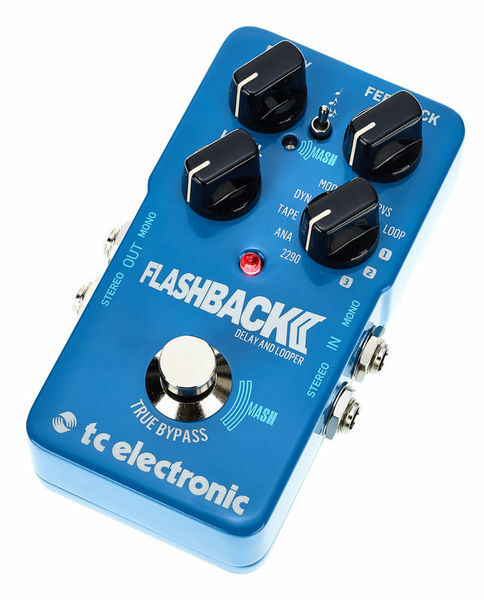 Rebuilt from the ground up, the TC Electronic Flashback V2 has been built to reproduce a tape delay, boasting a realism of effects that matches the classic sounds of legendary designer delays, as well as a shimmering Crystal delay, made with TC electronic's own polyphonic octave algorithm, from Sub 'N' Up into the Flashback 2. With 3 TonePrint slots in total, you get more flexibility than ever, and all the legendary delay sounds that TC Electronic are famous for. With a design philosophy focused completely on tone and delay effects the TC Electronic Flashback V2 offers a robust move-set of effects and functionality beyond that of your normal guitar pedals!